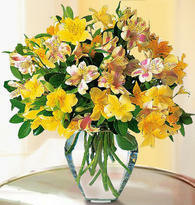 Recent research has verified that a sympathy flower bouquet really is a good gift to give those who are bereaved. 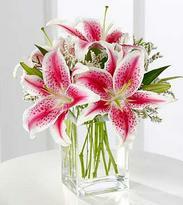 An article I read in Prevention magazine stated that flowers boost mood. I’ve also learned that university research from Rutgers, Harvard, and Texas A&M link flowers to happiness, creativity, and well being. In fact, 81 percent of senior adults participating in a Rutgers’ study showed decreased signs of depression after receiving flowers. Flowers fill the air with color, beauty and fragrance. They symbolize life and hope. That said after my husband's death, I distinctly remember noticing when the flowers started to wither, and I was sad that there was more death. Thus it is a good idea to time the arrival of your flowers when the early bouquets and funeral arrangements are withering. Also consider sending flowers again on special anniversaries and dates that are significant to the family of the deceased. 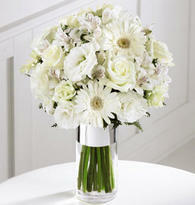 The photos on this page are a random sampling of sympathy bouquets available through Honest Florist . 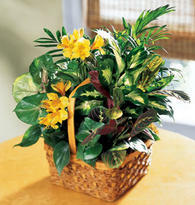 Sympathy plants are also an excellent choice to send to a grieving friend. Plants live on when the flower arrangements have wilted. 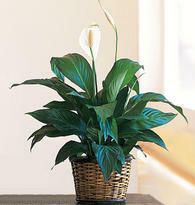 Plants also have the scientific backing to prove their effectiveness in helping boost moods and increase well being. 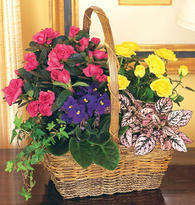 Or get the best of both with a flowering sympathy plant. Honest Florist has a full selection of options under their “Sympathy & Funeral” tab. You can also find a selection of discount flowers, luxury flowers and options to choose arrangements by flower type or color. Memorial Trees and Rose Bushes from The Comfort Company are meaningful gifts for any occasion, and are especially comforting when sent as a gift to honor a life.